Drive.ai's driverless vehicles are designed to stand out to motorists and pedestrians. From the outside, many driverless vehicles now on American roads look a lot like their conventional, human-driven counterparts. 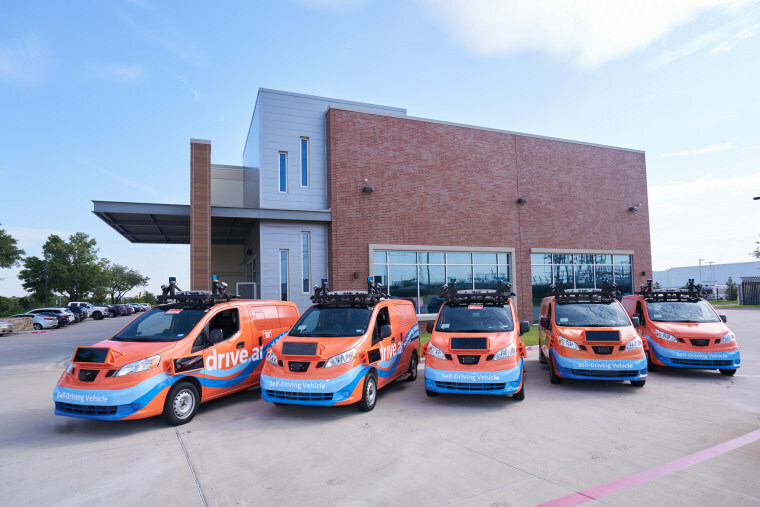 On Monday, Drive.ai launched the six-month pilot program in Frisco, Texas, a fast-growing city of about 180,000 near Dallas. People in a small section of Frisco are able to use a smartphone app to hail the vehicles and ride them free along fixed routes, Dallas News reported. The cars are geo-fenced, meaning they are limited by onboard GPS gear from venturing outside the area. People who had seen the vans “have found them to be an encouraging and comforting measure to lift the curtain on self-driving cars and what they’re ‘thinking,’” Halder said. He said the vans’ unusual design could help prevent collisions, though Drive.ai seems not to be taking unnecessary chances. Each of the vans has a safety driver who is supposed to take control in case of a problem, although the company plans to replace the drivers with front-seat chaperones who can explain the vehicles' operation to passengers, according to a Drive.ai statement. Drive.ai’s pilot program is one of a handful of similar ride-hailing programs now underway across the country, according to The Verge. Others include Waymo, which has a program in Phoenix, and Lyft and Aptiv, which have programs in Las Vegas. Uber plans to resume testing its self-driving cars in Pittsburgh this summer after suspending the program in March after one of its cars killed a pedestrian in Tempe, Arizona, CNBC reported. WANT MORE STORIES ABOUT DRIVERLESS TECHNOLOGY?